Karan Johar Got Trolled For Posting This Picture With Manish Malhotra, Netizens Ask If They Are A Couple! 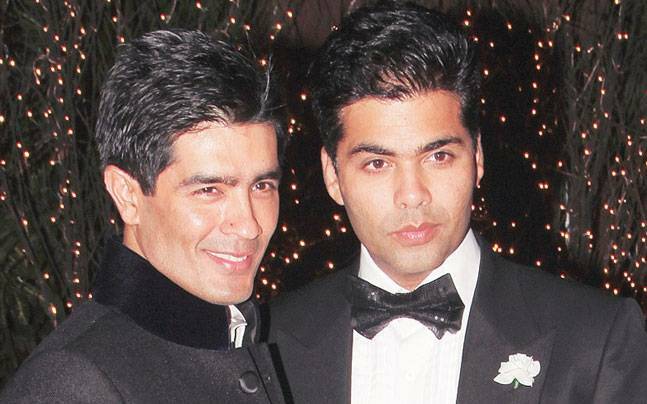 Ace filmmaker Karan Johar is being targeted by trolls for a picture with his good friend and leading designer Manish Malhotra. For those who don’t know, the designer had his birthday on December 5! And we definitely know, how close Karan is to Manish. The filmmaker shared a heartfelt post wishing his friend, but it seems that the haters couldn’t help but drop some explosive comments on his post and sadly Karan Johar got trolled. Now, guys, don’t you think that this is too much? When will people understand that they have no right to pass mean comments in the name of curiosity or whatever? This ruthless targeting and merciless trolling must stop. There is nothing wrong with the post, and we think that it was a rather sweet gesture from Karan’s side. Don’t you think that Karan Johar got trolled without any reason? Give us your opinion in the comments!